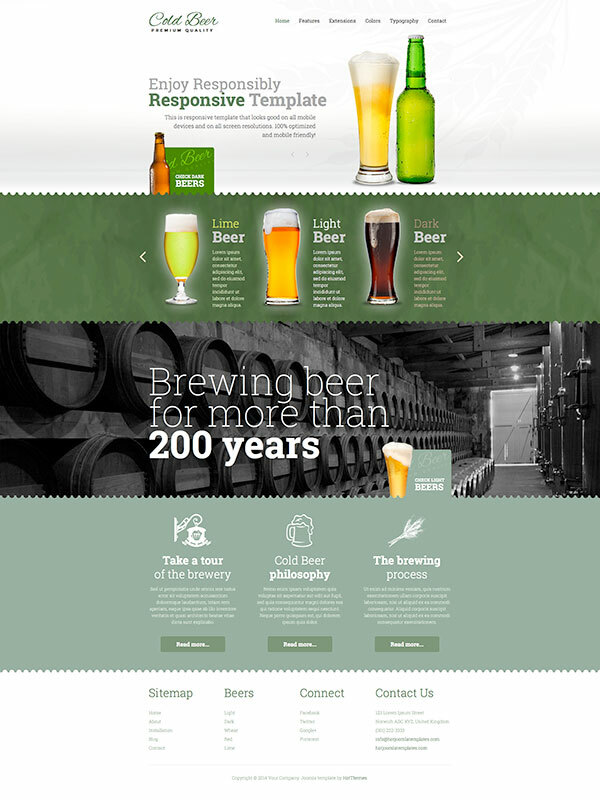 Beer template is the first cold template by HotThemes. :) We simply couldn't name it as usual with the Hot prefix. Anyway, it's responsive, modern and absolutely beautiful! The carousel below the standard position reserved for the logo and top menu contains some very specific elements in this template. Beside beautifully styled headings and regular text, it contains transparent images. The images represent, as you may expect, glasses and bottles of various kind of beers. However, you can change them with anything you like. What's interesting with these images is that they are appearing on the slide one by one (for those slides containing two images) with a nice 100% CSS3 based animation effects. The same is true for the blog images that represent the featured pages. This is possible thanks to the new feature of the Sparky Framework: The Image Animation. If you look at the Beer template further, you'll notice the Film Tape responsive module that rotates various kinds of beer. The text for each slide of this module can be styled differently. A message represented with big fonts below the Tape module has a background image with barrels. We applied the parallax scroll effect to this image, thanks to the second new feature of Sparky: Parallax Scroll. 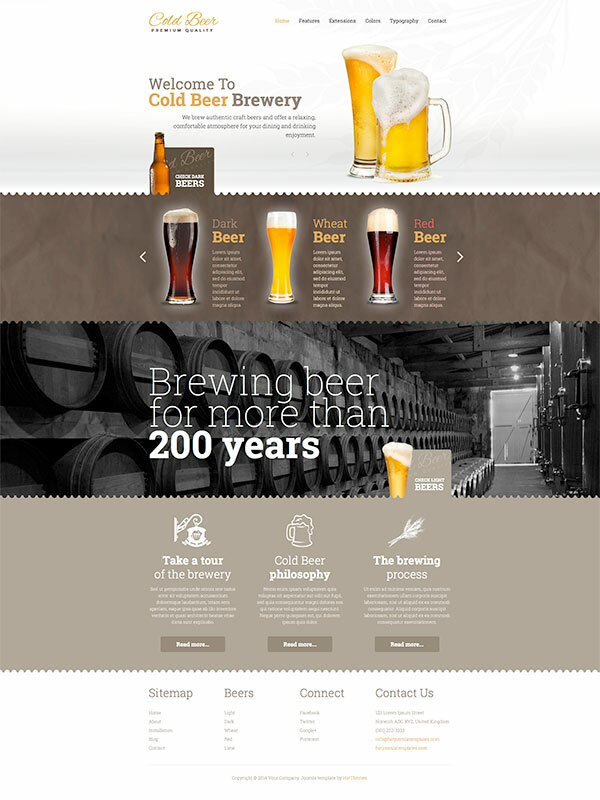 Now, you can assign this effect to some rows of your site and enjoy the cool jQuery based effect of parallax scrolling. 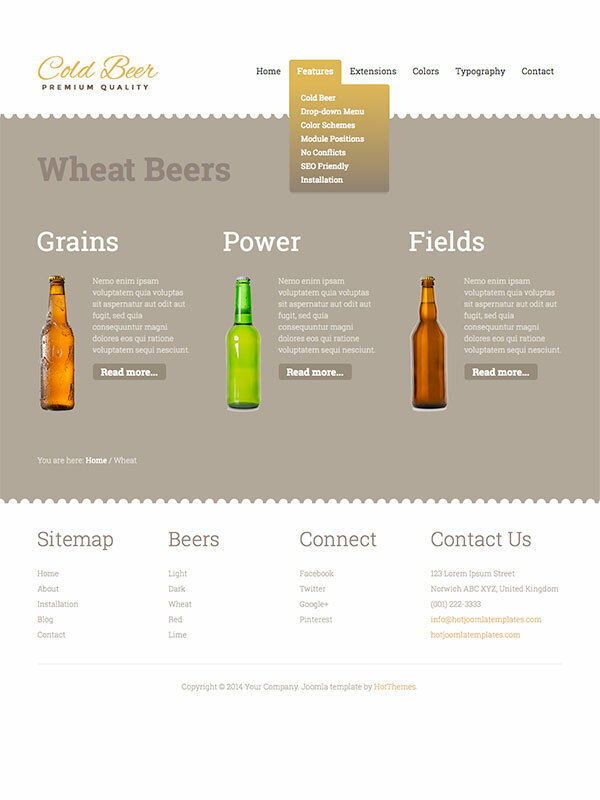 Beer template is not just responsive but also optimized for all mobile platforms. Some elements which usage on mobile devices will be difficult are changed. Also, the layout of some elements is different and optimized for the small mobile screens. Responsive Joomla modules included: Hot Full Carousel, Hot Film Tape, Hot Slicebox and Hot Maps. 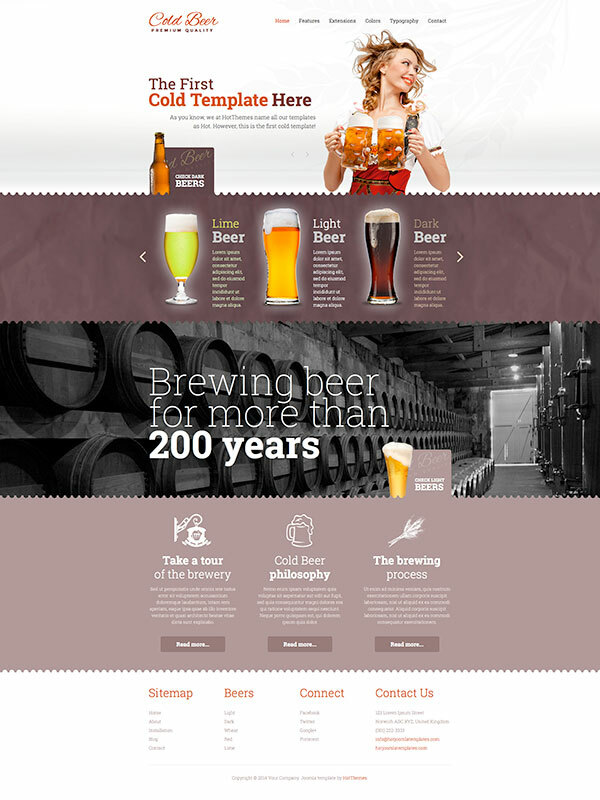 All these modules are included with Cold Beer template without additional fees (you save $15 per module). All extensions are styled and configured for using with this template. 16 module positions are used in our demo. Unlimited number of module positions can be added easily within Layout Editor of Sparky Framework, if needed.